The BoBunny Blog: Summer Fun With Misc Me! Summer Fun With Misc Me! 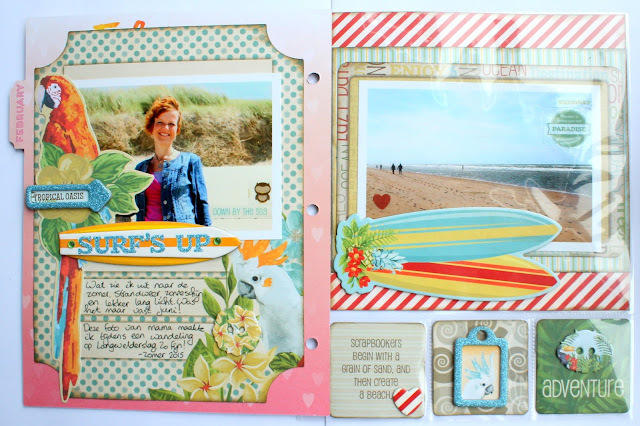 It's Romy here today and I would like to show you a few pages I made for my Misc Me album. As you may have read earlier on, I use the Misc Me products to create a 'note to self' book full of wonderful quotes and beautiful memories that I have. Last month I made four pages about my new year's resolutions. 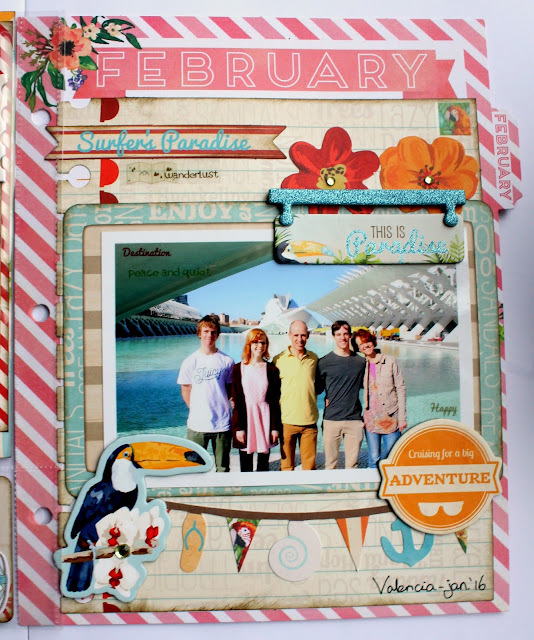 This month I decided to bring some sunshine to the cold month of February, because I'm really looking forward to summer. 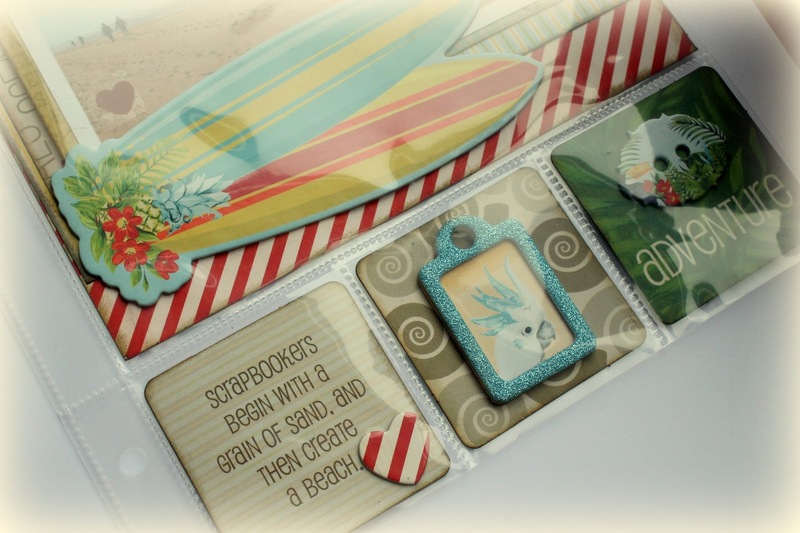 I used the wonderful Beach Therapy collection mixed up with some bits and pieces from the Calendar Girl Misc Me contents. 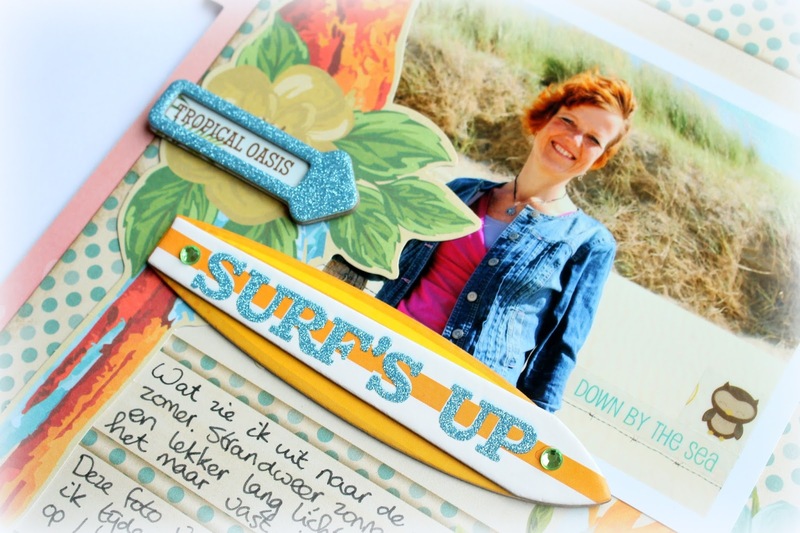 As you can see, I decorated my page with beautiful chipboard pieces and Noteworthy die-cuts from the Beach Therapy collection. I also further adorned my pages with the Summer Fun clear stickers. I especially enjoyed adding these stickers to my photos, because they make such a sweet detail. I journaled about how much I love summer and how much I am looking forward to enjoying the sunshine and going to the beach again. The tropical colours and patterns of the Beach Therapy collection definitely made me look forward to summer even more. 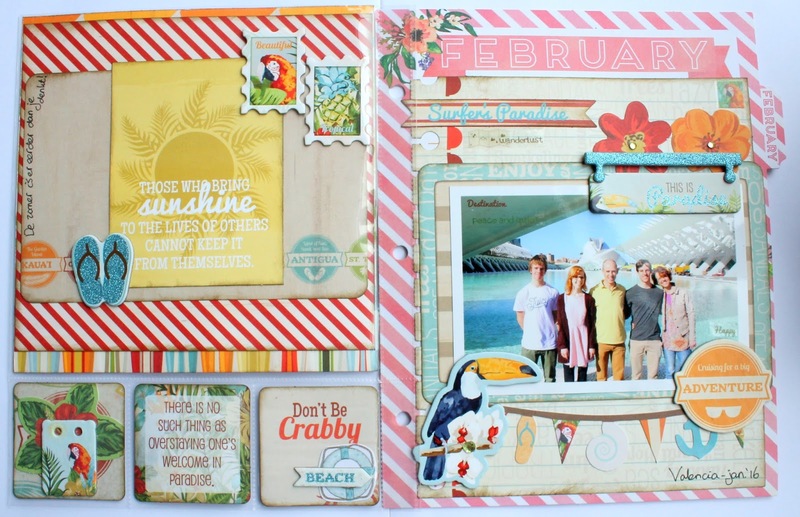 I cannot wait to start scrapping a few beach photos that I have with this collection. I also filled the pockets with some of the Beach Paradise Misc Me Pocket Squares. I love these new covers that are just the right size for the smallest journaling cards from the Misc Me packages.